The first humans to set foot in the Americas arrived some 25,000 years ago - or so we recently thought. Researchers working at an archaeological dig site that runs along the 54 freeway in San Diego, California, have now uncovered what they believe is evidence of a human presence in North America that predates previous estimates by 100,000 years. They published their findings Wednesday in a paper in the well-regarded scientific journal Nature. The proposed timeline revision is based on a set of 130,000-year old mastodon bones (dated using uranium) that show signs of having been processed by humans, according to the paper. At the archaeological site, which was first unearthed in the 1990s, researchers discovered pieces of limb bones and teeth from the mastodon, an enormous extinct creature distantly related to the elephant. Over hundreds of thousands of years, the ground beneath us gives way to tiny seismic shifts. These push-and-pull forces crush bone, hack apart human and animal remains, and turn solids to dust. But instead of just showing the typical patterns of decay that bones exhibit over time, many of the fragments appeared to have been fractured shortly after the animal died. This is important because it signals that something other than natural processes were at work. Amongst the mastodon remains, the researchers found what they believe are bones that had been fashioned into hammer-stones and anvils — two types of tools that early humans used in Africa as early as 1.7 million years ago. And those objects showed wear-and-tear that the researchers say could not have been caused by geological processes. 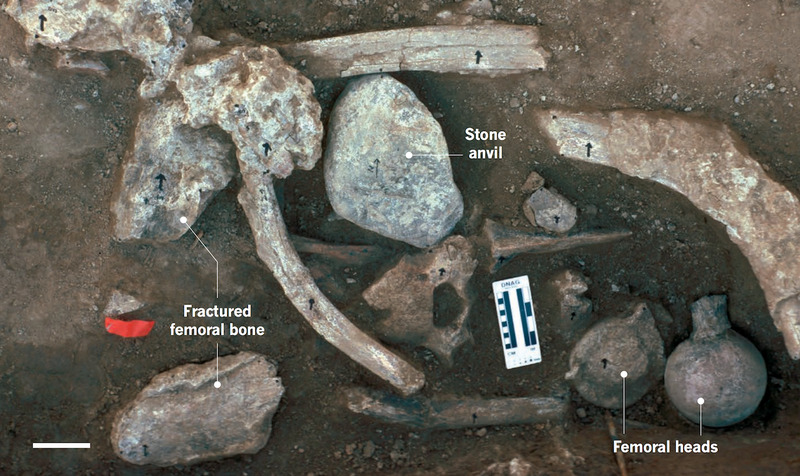 "At many sites you have evidence that bones were used for hammers or anvils," says Richard Fullagar, an archaeologist at Australia's University of Wollongong. "What's truly remarkable at this site is you can identify a particular hammer that was hit on a particular anvil." 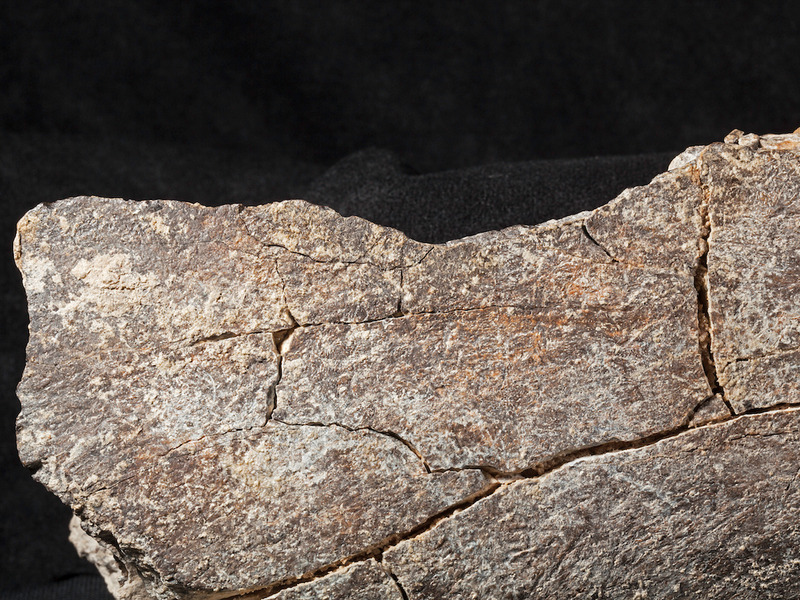 The image above shows the surface of a mastodon bone with a notch the researchers believe was created by humans. "It's really the age of the site that's the extraordinary part of this research," Thomas Demere, a palaeontologist at the San Diego Natural History Museum, said on a call with reporters on Tuesday. "It makes ours the oldest site in the Americas by a factor of 10." Michael Waters, director of the Centre for the Study of the First Americans at Texas A&M University, tells Business Insider via email that the bones found at the site, while intriguing, don't prove that humans were ever there.